Okay, so here are some of the makeup I brought with me on my trip. I brought too many makeup just because, and I will most likely do the same the next time I travel. My choice of palette to bring as far as eyeshadow goes has always been the Lorac Pro palette ever since I got it. I feel that the palette satisfies my need. It has neutrals and deeper shades. It has matte and shimmery shades. It has all I need for my trip. It blends easily. The only thing with this palette is that some of the shimmery shade does flake off when first applied, but ti stays put pretty well throughout the day. I recently went to The Body Shop for one purpose - to buy another tub of Honeymania body butter. I feel like I've talked about this a lot. The bottom line, if you like honey, try this one. The scent replicates honey so much I feel tasting it everytime I use it - I don't, though. I think it's a good idea to update you on some of the product I've shared with you. I usually give myself several weeks before posting a review of something, but sometimes even several weeks are not enough. My opinions have changed since I last shared these products with you. I've use all of them on my trip last week, so it allows me to really pay attention to what the products do to my skin. I don't know if that makes sense. I was in a car for long hours with nothing to do other than paying close attention to what different products do to my skin. Is it weird? Oh well.. I'm back from my trip, and it feels good to be home. Although I'm kinda sad that vacation is over, some new beauty purchase sure cheers me up. I buy stuff here and there, and I thought instead of posting one collective haul that makes a very long post, I might as well update you on my findings/purchases as I go. Most of the items I'm sharing here really helped me on my trip, which I'll explain why. Greetings! I'm enjoying post tax season. I'm currently traveling for 5 days, and of course I bring along some makeup with me. I'm used to doing makeup with brushes, so I don't want to go anywhere without my makeup brushes, especially the ones that I'm about to share with you. You will also find some care tips for makeup brushes while you're on the go. I think the brushes I have here represent essential tools I need for doing my makeup. I tried to keep them compact and in one place so it's easy for me to reach for when I'm traveling. I did sacrifice some brushes I love and use often because they just don't fit in the relatively short makeup bag I carry my brushes in. I have quite few brushes, so I do have alternatives for my favorites, which work just as well. Here are my top brushes - I love them so much that I bring them along with me on this trip! 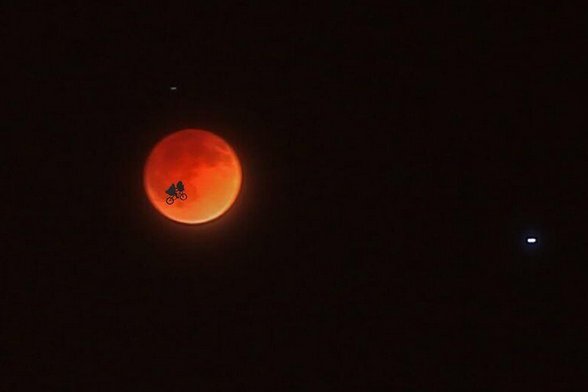 Anybody up late last night watching the blood moon? I was! I don't really know the in-depth explanation, but apparently, last night, the earth was positioned right between the moon and the sun which resulted in the earth shadow reflected on the moon. The moon was slowly turning red and was in its peak around 12.45 AM PST on Tuesday, April 15. The reddish color of the moon causes the rare phenomenon to be called the "Blood Moon". 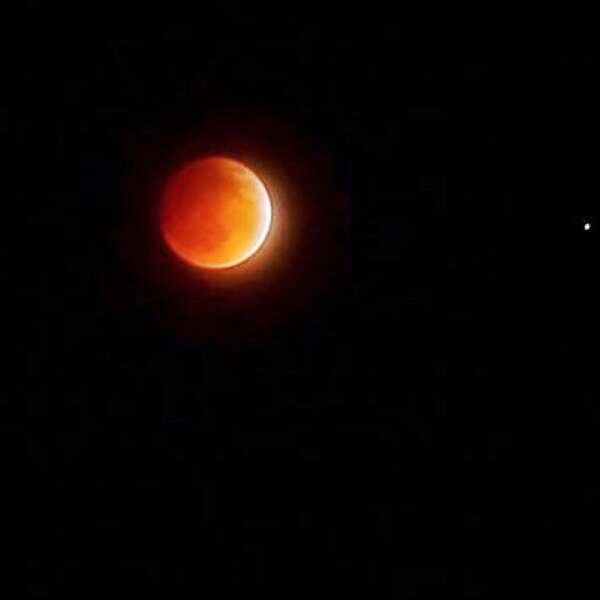 My friend in Jakarta texted me to send her pictures of the blood moon. I was ready to go to bed, and I don't normally follow this kind of stuff. I thought it was just another media hype like meteor showers that rarely happen to be true. I thought something was gonna happen, and the blood moon would be delayed or something like that. When I was looking out my door and saw the moon, I could actually see the moon was turning darker. I was excited! It was my very first time ever to see an eclipse - of any sort! I might sound overly enthusiastic, but I am really grateful and happy to be able to witness this rare occasion with my own eyes. Cheers for the end of tax season! Yay! I'm finally free. My schedule can now go back to normal. I'm so relieved. I did a bit of online shopping, taking advantage of the Sephora VIB sale that was happening last week. The sale was 15% off, which was a pretty good deal considering makeup doesn't really go on sale like, ever! I only got two things that I am really excited about. One of them is this Clinique Cheek Pop. The packaging is just really pretty and attractive. The product itself is embossed in a daisy-like pattern. I got the peach pop, which I think is perfect for the bright and sunny spring time. I am so excited for Spring, if you can't tell already. Spring is just a really gorgeous season for me. The flowers are blooming and colors are just everywhere.